Cement business in Nigeria is a very lucrative business, it is a major ingredient for construction, there is hardly any building in Nigeria that cement is not used in constructing it and this is the reason cement business is very profitable business. To start a cement business you must have a good cement business plan in Nigeria and feasibility study to determine that scale at which you would like to operate. There are several cement companies in Nigeria, like, Dangote Cement, Ashaka Cement, Obajana Cement, Lafarge and couple of others. There are two ways to operate cement business in Nigeria, either as a distributor or a retailer. Distributor – One way to operate a cement business in Nigeria is by being a distributor. This is done by supplying the cement as a wholesaler but you must register with the cement company you want to be distributing for. Here are some requirements you must have to be a certified distributor of a company. Register your company with the Corporate Affairs Commission to get your Certificate of Incorporation. The reason why this is so important is because the cement company (Dangote, Lafarge, Obajana) wants credible companies as their wholesalers. To register your company with CAC requires a registration fee of about N70,000. Other requirements are, a copy of a bank reference letter, a passport photograph of the company’s director, a letter of application to the company for distributorship, a passport photograph of the company’s representative and then the capital to buy at least 600 bag of cement for a start. Once this requirements are in order, you will become a registered distributor. It doesn’t end there, there are lots of other things you need to have to become a successful cement distributor. 1. A Warehouse – To be a distributor you need to have a warehouse where you store you bags of cement before you sell to retailers and it has to be in a very strategic position, a place that has easy access. It is advisable to have a large space. 2. A distribution Vehicle – This is good for business, with a distribution vehicle you can easily distribute your goods to customers and charge them for delivery. Retailer – If you do not want to go through the whole process of being a distributor you can be a retailer, it is less capital intensive and much easier, to be a retailer means that you are buying your goods from the wholesalers (Distributors). To be a retailer, you do not need any special document. All you are required to get is a shop in a good location. One thing about cement business in Nigeria is that the price is never stable so you have to be aware of the price so you don’t sell below or above the way you should sell. It is also advisable that you do not hold too much stock. There are challenges associated with this business just like in every business so you must e able to scheme very will so this challenges would not affect you. One of this challenges is Weather. If you not don’t protect your goods properly during the rainy season it could get damaged. Our sample Cement Business Plan in Nigeria & Feasibility Study can be used to access bank loans, proposal writing and grant applications. The business plan was complied after a thorough feasibility study on Cement Business in Nigeria was done. 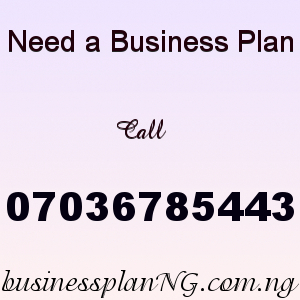 After you have made payment for your Cement Business Plan in Nigeria Feasibility Study, send your email and payment details to 07036785443.